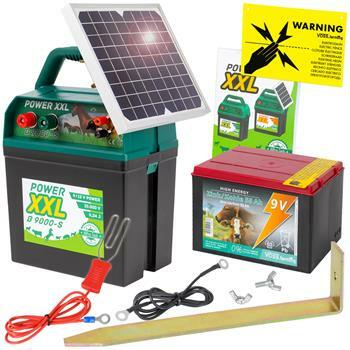 9V SOLAR Energiser, VOSS.farming "AURES 3"
two power settings "ECONOM" and "EXTREME"
Includes a 6W solar panel, 9V battery and a fence tester! 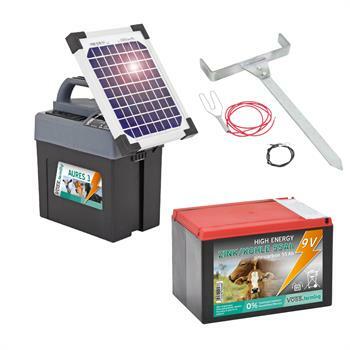 complete electric fence solar system with charge controller + accessory! 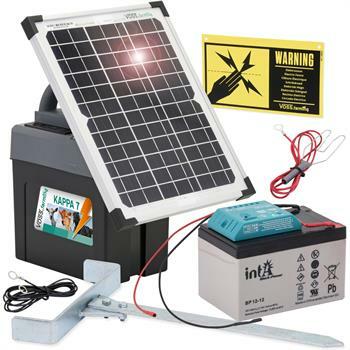 There are three different types of energisers: 230V energisers which are connected to the mains supply, 12V energizers that are powered via rechargeable battery or optional solar power, and 9V energizers that are powered via dry battery. The battery-operated fencers are mainly – but not only – for mobile use. 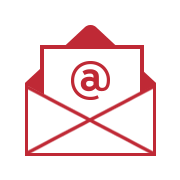 What are they suitable for and what do they offer? 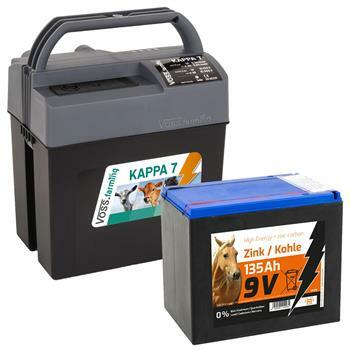 Whilst 12-V-energizers run on rechargeable batteries offering a relatively high performance, 9-V-energizers are powered via dry batteries. Just like other energisers, they supply the fence with energy. 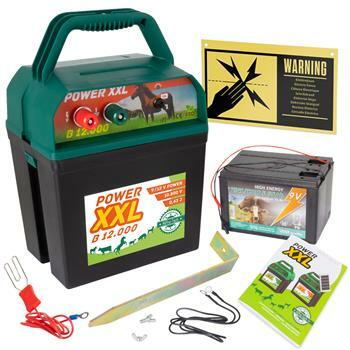 The animals are only safe in the enclosure if the entire fence system receives sufficient electrical energy from the 9 Volt energizer. The animal gets a brief shock as soon as it touches the conductor material – this can be electric fencing tape, polywire for fencing or fence rope. The very unpleasant but harmless shock impulse forces the animal to back away. This prevents that the fence gets damaged or overrun. The energy flows from the fence through the animal's body into the ground and, thanks to ground rods, back to the energizer. 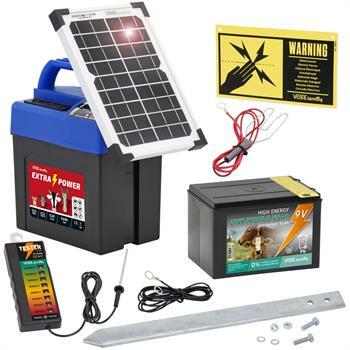 Other important components, besides a 9 Volt electric fence energizer, are conductors, ground rods and connection cables. 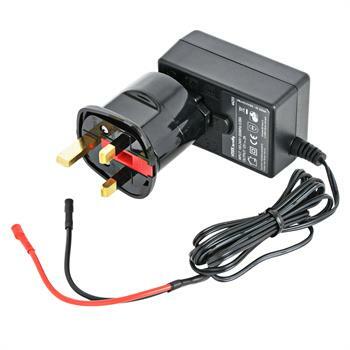 You require a fence connection cable that connects the energiser to the fence and a lead out cable which connects the ground rods. 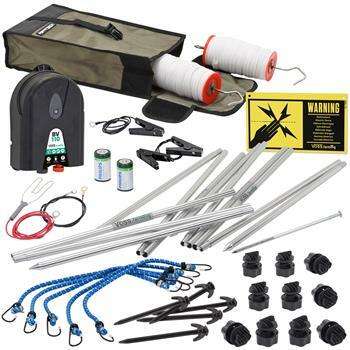 Some companies offer sets that already include some of the necessary accessories. Additionally, it is wise to invest in a fence tester. 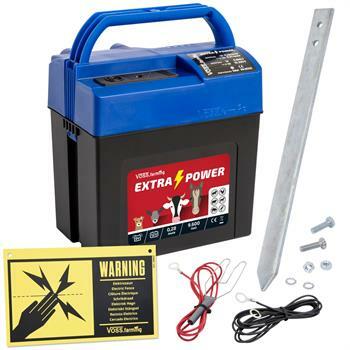 This is an essential tool you will use to regularly check the fence voltage. 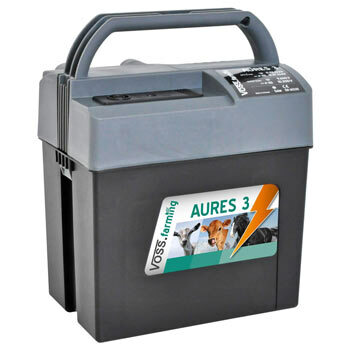 Why choose a dry battery unit for your electric fence? Power-saving battery energisers consume little energy. They are kind to the environment and your wallet. 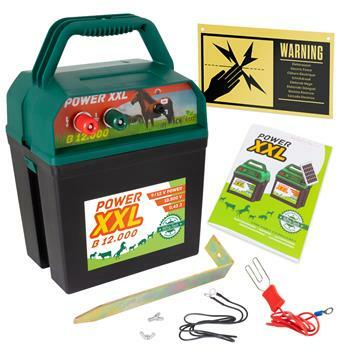 9-volt-energisers are the ideal choice for electrifying short and simple fences. 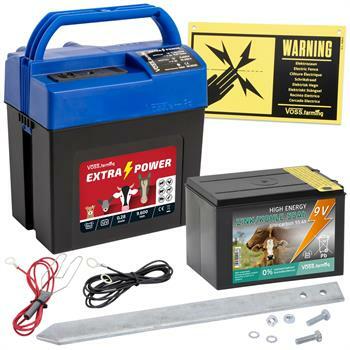 No mains connection is required, the 9-V-energizer can basically be installed anywhere. They are light and handy electric fencing units that are usually well protected against the weather. All this makes them ideal for mobile use. Never mind whether you will use it as a mobile energiser or a stationary one, there are a few things to consider. 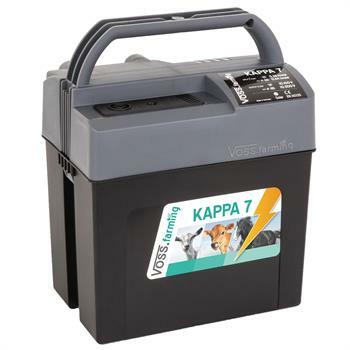 Various well-known brands have specialised in 9V energisers. 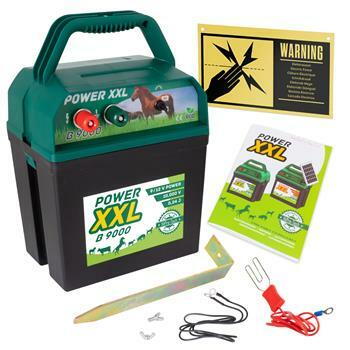 There are options available for very small fences and sensitive animals as well as energizers for slightly bigger fences that can also handle some vegetation and more robust animals. It is important to have a minimum voltage of 2000V on the fence at all times. While the output often relies on less than 1 Joule. 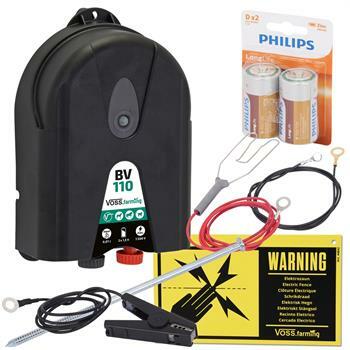 From VOSS.farming, there are deals available that already include a battery, ground rod and connection cables. 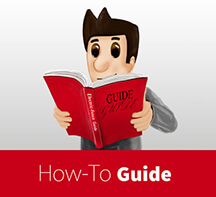 If desired, you can find energisers with solar modules. These use solar power during the day and the battery at night. In case you want it even more compact and energy-saving, there are also 3V energisers on offer. They are great for temporary pet fences or for trail riding.